Lukman is a young man who comes to West Sumatra circa 1930 with three goals in mind: 1) learn pencak silat, Indonesian martial arts, 2) discover his father's murderer and 3) take revenge. He first applies to Datuk Langit, the corrupt local governor, who rejects him as a pupil because he cannot afford to pay the 1-buffalo entrance fee. Moving on, Lukman catches sight of an old man who is beset by highwaymen but defends himself without batting an eye. Lukman introduces himself and learns that this is Pak, a strict but modest master of pencak silat, who accepts Lukman as a student on condition that he only use his newfound skills in self-defense. Lukman quickly becomes adept, but he's dangerously hotheaded, particularly with regard to his love-interest Kiah and her bullying henchmen brother Biran, who frequently draws him into fights. Frustrated by his failure to learn patience and tranquility, Pak finally kicks Lukman out and the young man continues along his downward trajectory until he ends up killing Biran over a gambling quarrel. Lukman is sent to jail where he learns from a thuggish inmate that Datuk Langit, soon to be wed to Kiah against her will, killed his father. Unable to tolerate further injustice, Lukman escapes and confronts Datuk. The film ends on a mixed note, with both of them being sent to prison for their respective crimes, but Kiah promising to wait for him. Tiger of Tjampa is a rather strange artifact of its era and its hybrid of Indonesian, Islamic and Dutch influences (the latter's colonial rule having ended only four years earlier). 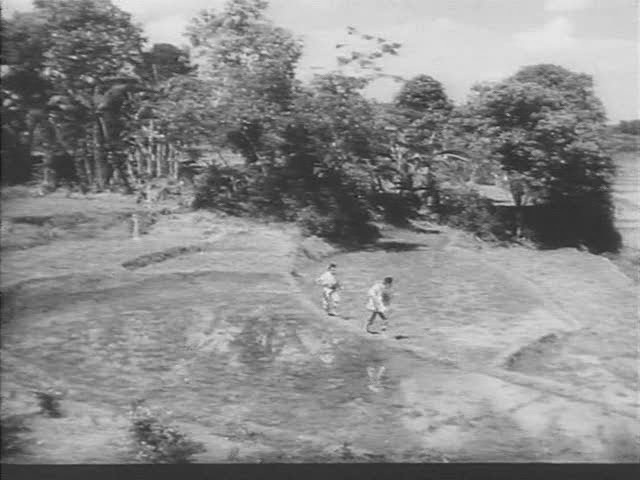 Outwardly patterned identically to countless other young-man-out-to-avenge-his-father films made in the US, Hong Kong and elsewhere, Tiger of Tjampa seems genuinely conflicted about whether pacifism or violence is the better path, and is all the more interesting for its vacillation. 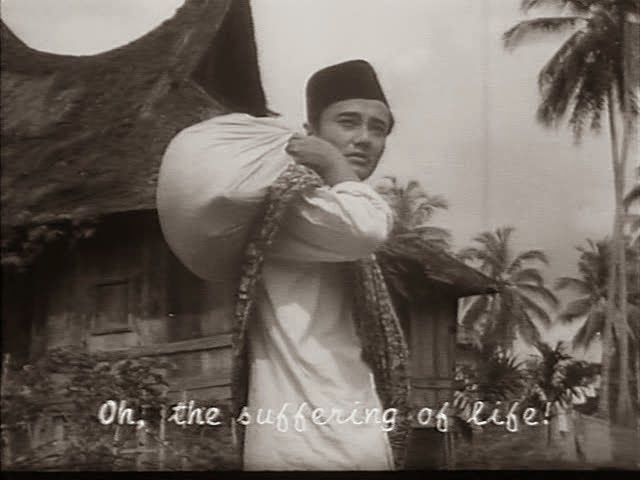 Although Pak clearly occupies the moral high ground he's also unsympathetically content with Datuk's exploitive rule (and by extension, the off-screen occupation of the Dutch) while the proactive Lukman is easier to cheer for, but commits the film's only murder (this is by no means a high body count action film!) under ignominious and petty circumstances, ultimately wrecking his own life. The film does not present a right answer, reflecting in many ways the double-bind of oppression in which morality and freedom are potentially incompatible. There's also an almost-interesting echo of this no-right-answer theme in the romantic subplot, with Lukman realizing that a woman other than Kiah has nursed a secret love for him, but nothing much comes of it. Depending on your tolerance for movie romances conveyed entirely by furtive glances and shy smiles, the love triangle will feel pretty underdeveloped. The fight scenes, for the 1950s, are pretty good (though nothing like the high-octane pencak silat in more recent films like The Raid: Redemption) and retain the spirit of the film’s celebration of local culture which also includes wedding dances, handmade sarongs, a liberal smattering of regional proverbs and, most notably, sung narration that accompanies the film in the style of a traditional Indonesian choral ballad.